Darryl King brings to his association with SOAR Performance Group extensive experience in sales and consulting for technology companies. As a Senior Consultant, Darryl’s focus is on maximizing team performance for SOAR clients. Prior to affiliating with SOAR, Darryl worked with leading Fortune 500 companies including IBM, AT&T, Unisys and Hewlett-Packard in sales, sales leadership and business development roles. His experience includes early stage growth companies, where he held executive positions responsible for defining and executing new growth strategies. While at Neo-ware, an early leader in Virtualization Technology, his roles included Vice President of Business Development, Vice President and General Manager of Technical Services and Director for Retail Solutions. These strategies supported the growth of Neo-ware and its subsequent acquisition by Hewlett-Packard where Darryl participated in the post-acquisition integration. Additionally, Darryl has experience in the technology start-up area, serving as president of Transparent Visibility, a supply chain visibility company. Darryl earned a BA in Economics and a BA in Managerial Studies at Rice University, Houston, Texas after being awarded a full athletic scholarship. Darryl was a three-time High Hurdle champion for the Southwest Conference, a Track and Field All-American, and an Olympic Trials participant. Darryl also coached Track and Field while a Graduate Assistant in the Masters of Business Administration (MBA) program at the University of Arkansas. 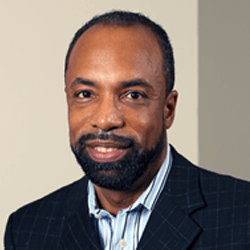 Darryl sits on the Board of Directors at two faith-based organizations, Christianity Today International of Chicago, IL, a worldwide media organization, and the Grand Old Gospel Fellowship based in Lansdale, PA. Darryl is also active as a leader for his local church. Darryl is married and has two adult daughters and enjoys personal time with his family and traveling.